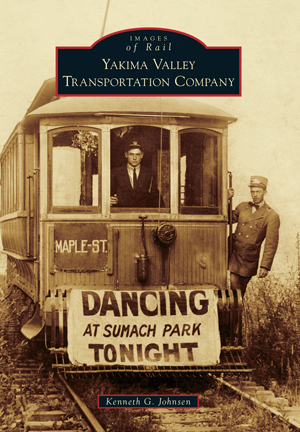 The National Register of Historic Places lists the Yakima Valley Transportation Company (YVT) as the last intact early 20th century electric interurban railroad in America. From its beginning in 1907, the YVT was no quitter, surviving a takeover by the Union Pacific, large financial losses as the last trolley railroad in Washington state, attempts at dieselization, and a concerted effort to put the company in its grave. Thanks to the efforts of local preservationists, YVT trolleys are still in operation. The railroad and its infrastructure never changed. What is seen today is what was built 100 years ago—a living slice of history. Images of Rail: Yakima Valley Transportation Company is the most authoritative chronicle of the famous YVT yet compiled. Author Dr. Kenneth G. Johnsen has been called the YVT's godfather, savior, and world authority by Yakima's historic-preservation community. He began studying and photographing the railroad in 1966 and has amassed an extensive archive of YVT photographs. In 1973, Johnsen persuaded Yakima's City Council to bring streetcars back to the YVT and has operated them as a volunteer motorman ever since. He authored a previous book on YVT, Apple Country Interurban, and is president of the nonprofit Yakima Valley Trolleys organization.